Fiji Roads Authority (FRA) would like to advise members of the public that the intersection of Ratu Dovi Road and Kings Road will be closed from 9.00pm to 6.00am daily on Saturday, 16th June and Sunday, 17th June. This is part of the on-going road construction works along Kings Road from Laqere to Makoi under the Suva Arterial Road Upgrading Project (SARUP 1). Motorist traveling along Ratu Dovi Road wishing to get onto Kings Road are advised to take Yasiyasi Road to get onto Kings Road and vice-versa for motorist traveling from Nausori end. 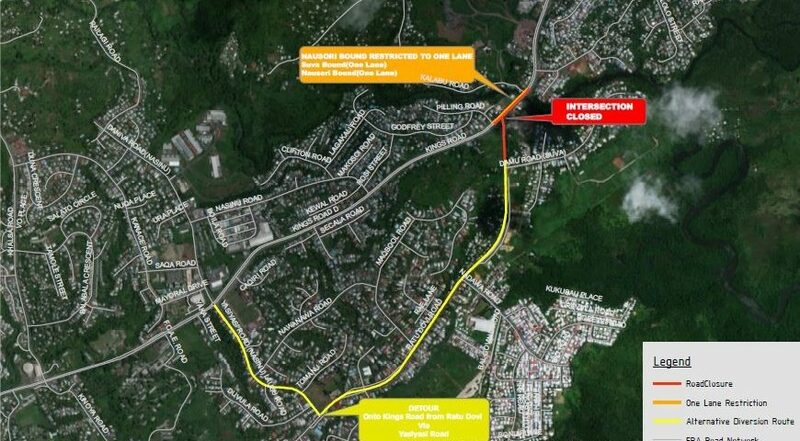 These motorists are advised to use Yasiyasi Road from Valelevu roundabout to access onto Ratu Dovi Road.